"He descended into hell". 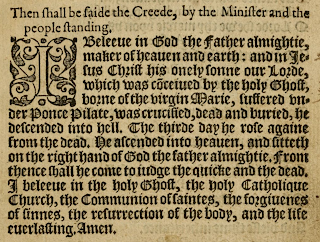 This article of the Apostles' Creed has taken many who are unaccustomed to the creed by surprise. "Jesus? In hell? What was He doing there? And where is that in the Bible?" While the meaning of this article has been a matter of debate, it has generally been accepted as an important element of the faith, not only by the Roman Catholic Church, but by historic Protestantism as well. In Reformed theology, this descent has been explained in two ways - that Jesus suffered the pains of hell or that Jesus abode under the power of death until the third day. These ways are complementary. I believe both are true, although the second way is the agreed upon understanding of the creed in my denomination (and in all denominations that hold to the Westminster doctrinal standards). Question 44. Why is there added, "he descended into hell"? Answer: That in my greatest temptations, I may be assured, and wholly comfort myself in this, that my Lord Jesus Christ, by his inexpressible anguish, pains, terrors, and hellish agonies, in which he was plunged during all his sufferings, but especially on the cross, has delivered me from the anguish and torments of hell. The second way is articulated in the Westminster Larger Catechism of the British Reformed churches (Presbyterians, Puritans). Q. 50. Wherein consisted Christ's humiliation after his death? A. Christ's humiliation after his death consisted in his being buried, and continuing in the state of the dead, and under the power of death till the third day; which hath been otherwise expressed in these words, He descended into hell. It is important here to realize that the English word "hell" has been used to translate two different Greek words found in the Bible: "Gehenna" (γέεννα, what we usually think of when we use the term "hell") and "Hades" (ᾍδης, which can have a broader reference to death or the state of the dead, equivalent to the Hebrew word "Sheol"). The view of the Westminster standards notes that Acts 2:24-32 speaks of Hades, not Gehenna. Most modern translations makes this clear by leaving the word untranslated: "'For you will not abandon my soul to Hades' ... he was not abandoned to Hades" (Acts 2:27, 31, ESV). 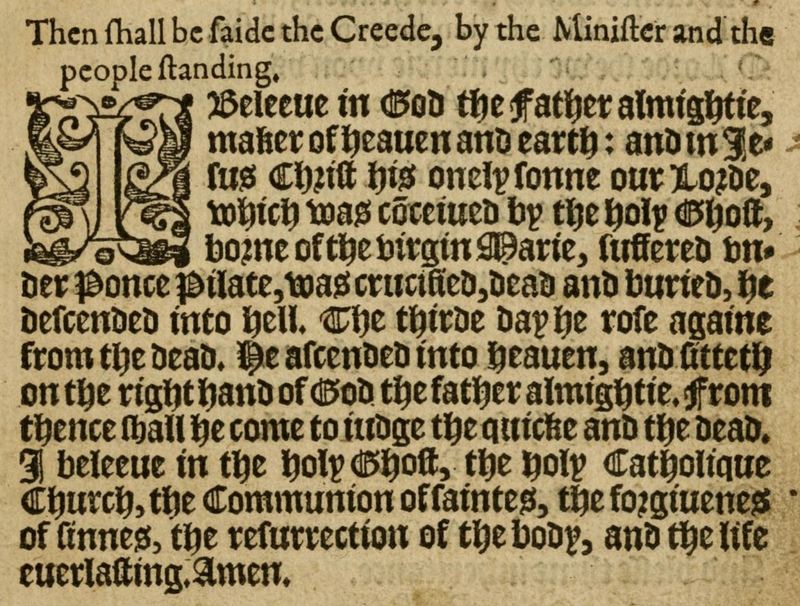 In line with this, many modern translations of the Apostles' Creed translate this article of the creed as "he descended to the dead." Therefore, the Larger Catechism notes that the Bible does speak about the time after Jesus' death and before His resurrection, and that it speaks of this time as part of Christ's humiliation (in the sense that Jesus' human life is divided into the state of humiliation and the state of exaltation). Jesus was dead, with His soul was unnaturally separated from His body, dwelling with other departed souls. In addition to Acts 2:24-32, Romans 6:9 also speaks of how death had dominion over Jesus until He rose from the dead. Notice, this explanation states what seems to be clear from Scripture while leaving room for various positions on details about which the Bible does not speak as clearly, such as where exactly Jesus' soul was at this time and what He was doing there (was His soul in heaven? a place of torment? the "bosom of Abraham" (Luke 16:22)? paradise? was the bosom of Abraham/paradise the same thing as heaven or was it part of Hades until the resurrection?). Nevertheless, most Reformed teachers argue that even though this condition was an aspect of humiliation under the power of death, during this time Jesus's soul dwelt in paradise with His people (Luke 23:43), having committed His spirit to God (Luke 23:46). Like I mentioned earlier, I believe both of these perspectives teach us something important and can be expressed by this article of the creed. Jesus bore the griefs and sorrows which we ought to have suffered in hell. Not only did He experience physical pain, but He experienced that tremendous mental pain and torment of being judged by God, and He did that for us. Jesus also truly laid down His life, giving Himself up to the unnatural and fearful power of death. Yet, He could not be held by it - rather, He exhausted its power and overcame it by rising from the dead, taking away its victory over His people. As Hebrews 2:14–15 teaches, Jesus took on human nature, "that through death he might destroy the one who has the power of death, that is, the devil, and deliver all those who through fear of death were subject to lifelong slavery." Jesus did this work for us, so let us gratefully confess it and find in it comfort and confidence.